In today's marketplace, you need to build trust before you make your sales pitch and content marketing is the path to follow.Successful salesmen spend as much time building rapport with customers as pitching their products or services. The online equivalent is content marketing. Content marketing engages a target audience by educating them or involving them. Red Bull is a perfect example, with a website that looks more like an online news outlet than a product catalogue. Its online content is aimed at people who dream of a high-octane lifestyle — surfing on an exotic beach in Hawaii to free-flying from a mountaintop peak. Its news content feeds the appetite of pumped up people, molded into a community by their consumption of Red Bull. Closer to home, Rogue Ales has invented Rogue Nation around the mantra of "Dare. Risk. Dream." Its pledge of allegiance includes "Rogues take risks," "Rogues have respect for diversity" and "Rogues have one foot in reality to let them get the job done, but they are, nonetheless, led by their dreams" — all this "in the Pursuit of Beer with Taste." Gaining in popularity as a content marketing strategy is the tactic known as "news-jacking," a phrase coined by David Meerman Scott. News-jacking occurs when a company or organization capitalizes on a bigger story to earn its own media coverage. Examples are a series of workout videos branded as training like Olympians or generators that keep on working even when they are inundated in a flood caused by the likes of Superstorm Sandy. Content marketing has emerged for the same reason salesmen banter with customers. In a world drenched with advertising, people simply tune out most of it. They will listen to other people or sources that they trust — a salesman who knows the names of their children and their favorite sport; the website or blog that presents unique, relevant and interesting content. Some commentators say content marketing isn't marketing at all. But going to all the effort to publish a content marketing website or blog seems pointless if it isn't, at its heart, all about marketing. 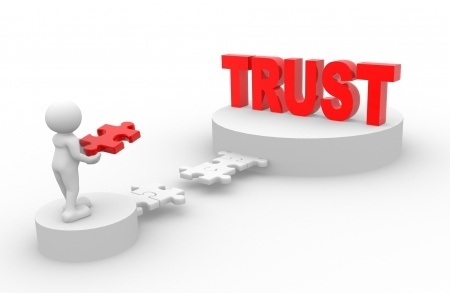 A better way to see content marketing, like good salesmanship, is as trust marketing. In today's world, trust is in short supply. Your content marketing strategy should focus on building trust in you through authentic engagement with the content you post. Your trustworthiness is what will sell. Red Bull and Rogue Ales consumers buy more than the product; they buy into the reputation.